We have been working on Pinks handwriting lately. She loves writing little notes for us but she does not always get the tall letters verses the small letters correct. I have in the past made her some spelling pages and she told me that she wanted more as she liked having the lines to help her. 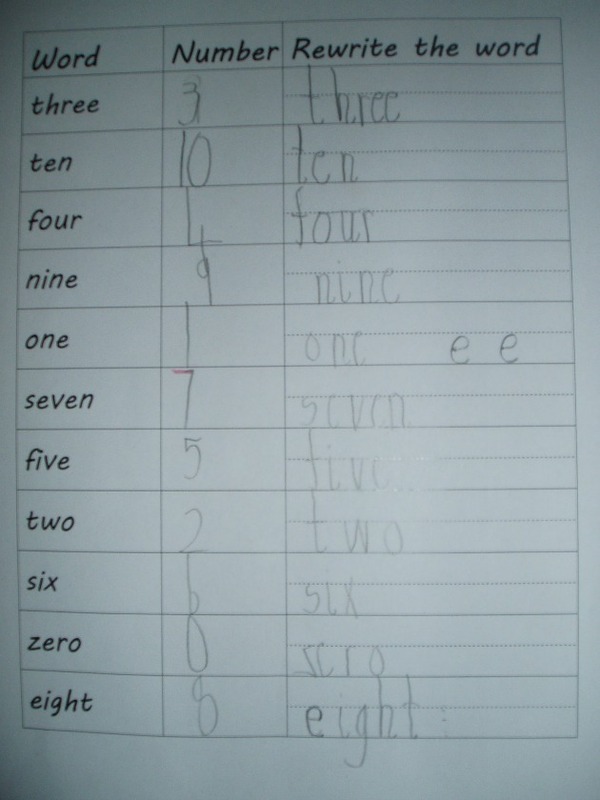 So I made her some to practice writing her number words (sorry photos not the best). 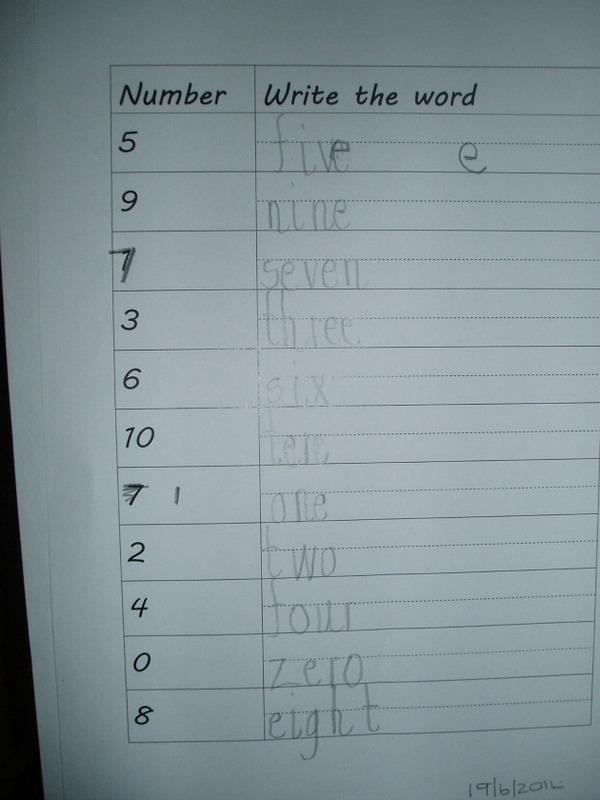 The first page has the number word written and then she has to read the word, write the correct number and then rewrite the word. The second page has just got the number and she needed to write the word. I am attaching the document below please feel free to download and use. I have done the exact same pages in Afrikaans for her. 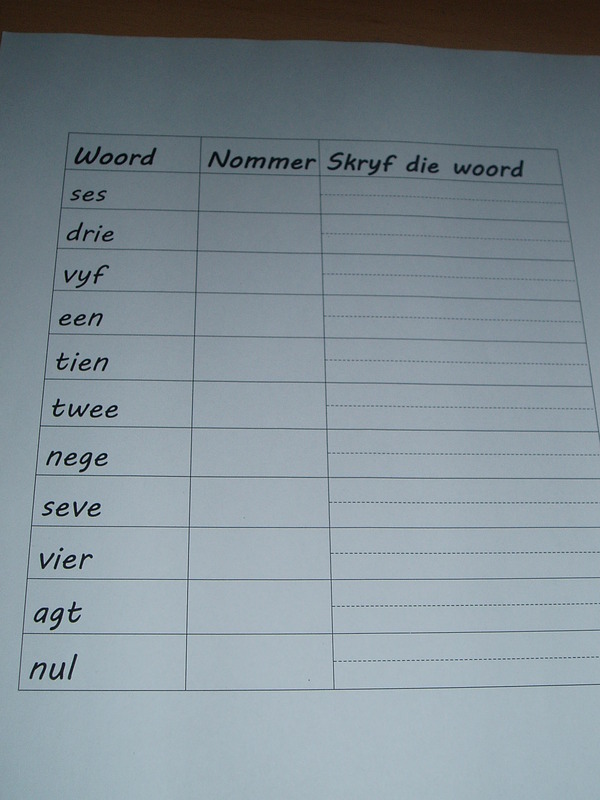 I have found that doing the same page in Afrikaans after doing the English page helps to re-enforce the two languages. As always please feel free to send me a message if you have any ideas for some writing pages – I am hoping to make some more over the summer months. This entry was posted in Afrikaans, free printable / worksheet, Homeschooling, ks1 English and tagged Afrikaans words, home ed, homeschooling, ks1 english, sight words. Bookmark the permalink.